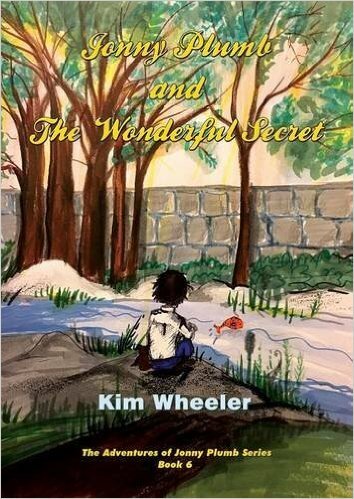 "Jonny Plumb and the Wonderful Secret" by Kim Wheeler. This adventure for Jonny Plumb finds himself in all kinds of trouble when he is firstly accused of giving a footballer a bad case of Floppy Leg. Who then had to be carried into his home on a stretcher.